We Know Shipping Sail Boats! sail boat moved anywhere in the world. There are more shipping issues when dealing with sailboat transport, so it is important to take extra care when prepping your sailboat for shipping. Beyond the general boat cleaning and clearing of any personal items, the structure of a sailboat causes much more preparation than a power boat or other motor-powered vessel. It takes a professional crew of transport specialists with experience in dealing with the loading and preparation of the mast and boom. You will need to remove all standing rigging, lights, wind indicators, spreaders, and all other types of mast rigging before transport. This protects your sailboat from damage during shipping. Nationwide Boat Shipping will make sure that your sailboat is properly prepared before beginning transport, so it arrives safely at its destination. We will also take care of all permits and escorts that are needed to ship your sailboat. Sailboats pose a unique challenge when transporting, due largely to the shape and size of their sailing gear. You need experts who have experience specifically with transporting sailboats, to ensure a safe move. It is also crucial that the transport crew understands the basics of sailboat hull design and knows where to put the weight of the sailboat during shipping. The team of boat transport experts at Nationwide Boat Shipping have the knowledge and experience to make your sailboat transport go smoothly. So, whether you want to ship a sailboat that you recently purchased or move one to your new home, we can handle all the details of the boat transport. That way, you can focus on the fun you're going to have. Call (800) 352-8475 to talk with one of our logistics professionals for a free no obligation quote today! No matter where you need your sailboat taken to in this great country, we have got you covered. We offer professional shipping services for your sailboat in every state. We know what the requirements are for each state, regarding size, height, and weight limits, and have experience specifically relating to sailboat shipping. Nationwide Boat Shipping offers competitive shipping rates and the highest level of customer service in the industry for anyone needing to move a sailboat, so you can take your sailboat out on the open water more often. 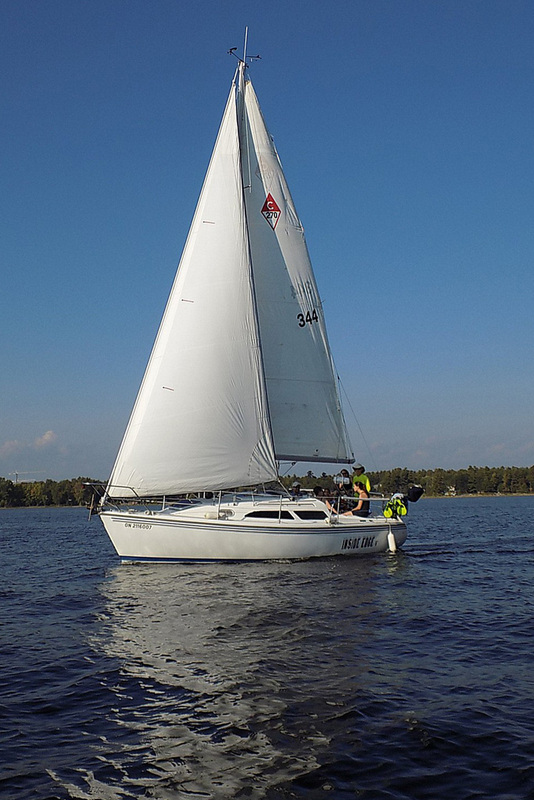 "My sailboat is my baby & Nationwide Boat Shipping took great care of her! Thanks for a job well done!" "Thanks to Nationwide Boat Shipping for getting my sail boat moved and now Im ready to set sail!" "If I ever have to move my sail boat again I know I can trust Nationwide Boat Shipping - they did a great job & are real professionals!"